Life is pretty crazy right now at my house! I feel like I've been traveling forever. I've made two trips to Minnesota in the past month, including driving one of them (that's 13 hours in a car, both ways), and also several overnight trips to visit with friends a few hours away in Michigan. And it's not over! There's a weekend thing with family coming up. I'm pretty exhausted right now, but don't worry - there are a lot of awesome projects happening around here. I've made a Halloween-inspired shirt that I'm writing up a tutorial on. I've finished my third cat litter box furniture/cat tower. Lots of leatherworking is occurring, rounding out the options that will be available in the Etsy shop (in progress!). My garden is still growing! I've learned what the sprouts look like for spinach, kale, and arugula, so I didn't pick them as "weeds" during the second round of planting. I'm quite excited for how the garden will look next year, when I will plant things earlier and in a better arrangement. I went to a gorgeous wedding last weekend, and I'm hoping the best of happiness for those friends who got married. I felt like I was on a movie set the entire time, it was so pretty. The only other wedding I've been to as an adult was really nontraditional (also amazing), so this is my first wedding that looks like those I've always seen on movies and TV. It was surreal. It was also really strange looking at all my friends in the wedding party and thinking "Wow, we're all so young" followed by "When did the people in weddings start looking young to me? Omg! This stage of life is really happening!" 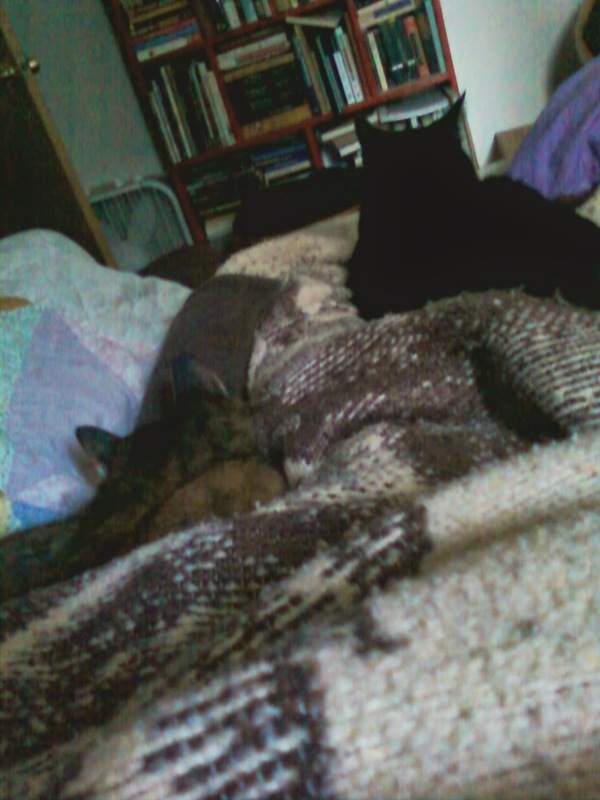 My cats are doing wonderfully. They continue to be adorable cuddlebugs, and have a clean bill of health from Dr. Lyssa Alexander of All Creatures Animal Clinic. Lyssa is a dear friend of mine, and an amazing vet. After working there for many years, she has recently purchased All Creatures and is making it into the best veterinary practice in Ann Arbor that treats pets and exotic animals. I highly recommend her! 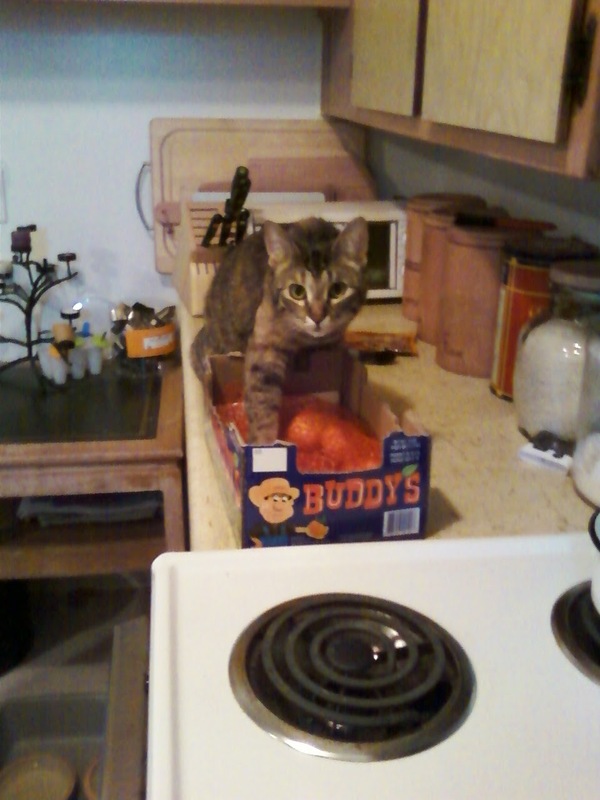 Gnome as a little kitten, testing the box of clementines. "I can fit in here, Mom!" 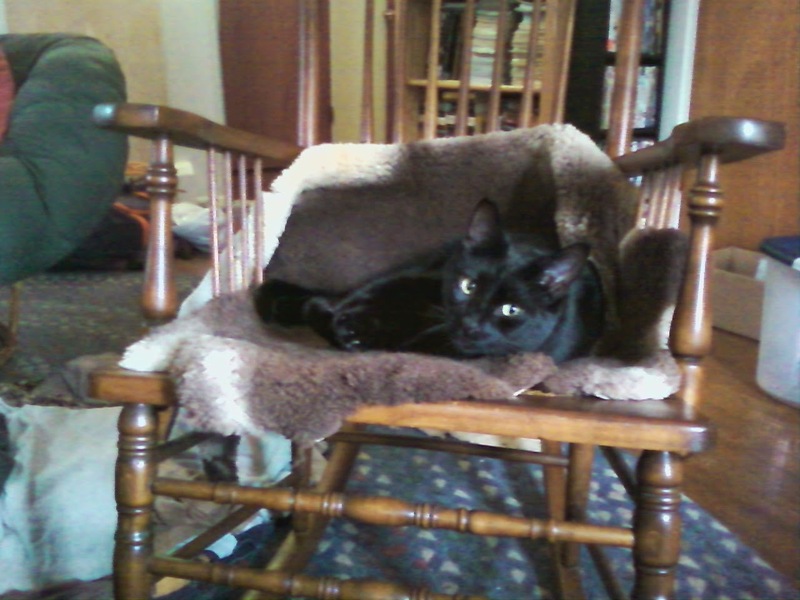 Kobold chillin' on the sheepskin covering the rocking chair. My view on waking up some days. They are wonderful cuddlebugs. 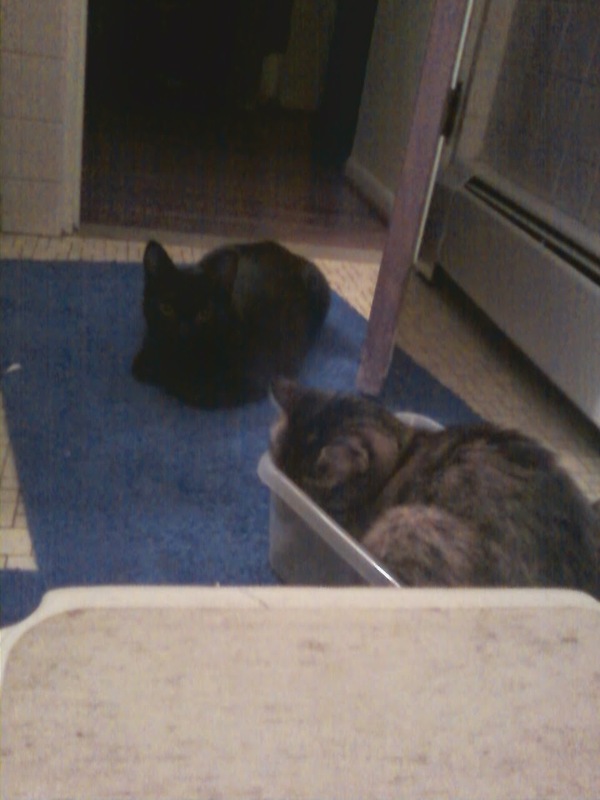 If only they would do this quietly all night... they usually get kicked out in the middle of the night for moving around. 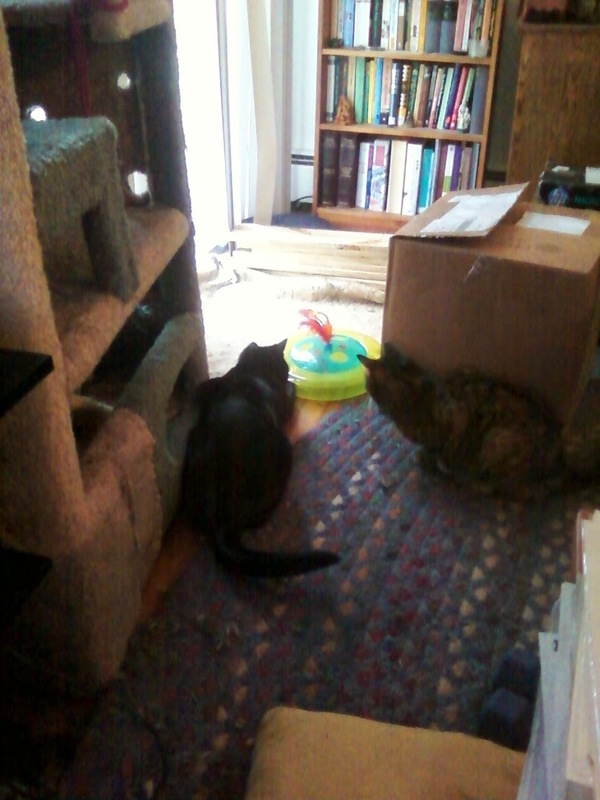 Playing with a new cat toy that my mom sent me. Like all cats, they will sleep in any box they find. Kobold especially likes sneaking into my box of linen fabric.